Two very interesting videos. The first, a presentation by Rod Jeffries, goes through a treatment of “Lateral Violence”. The second is three role-play scenarios to demonstrate the concepts. Both of these videos are in the context of nursing in hospitals… however, it takes little imagination to see how they apply in other environments. I would actually assert that the problems described in these videos are endemic to most organizations. Alistair Cockburn has also written about safety in a team context. 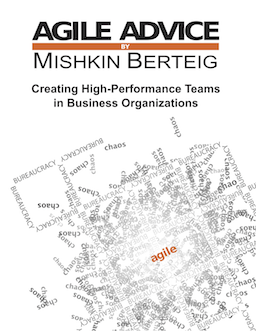 Scrum and other agile methods all have some mechanisms for dealing with this sort of challenge, but they can start failing quickly if the sponsors of the agile effort do not overcome the habitual and cultural challengs.